I can not use the Heavy Sieve or make a compressed hammer. what am i doing wrong. Am I missing a mod, a step or am I just stupid. Your client configs seem to not match the configs on the server. It sounds like the server does not have any Heavy Sieve drops for the block you're sifting, but the client does, causing a desync (relogging should show that the sieve is actually empty and the item was not used up). I saw you listed in the changes that you have fixed the RF reading as FE in the GUI, but I am currently having that issue with the Auto Sieve and Auto Hammer, and when I have them connected to power, they do not fill, the cable looks like it connects, but no power in the units. Thanks. 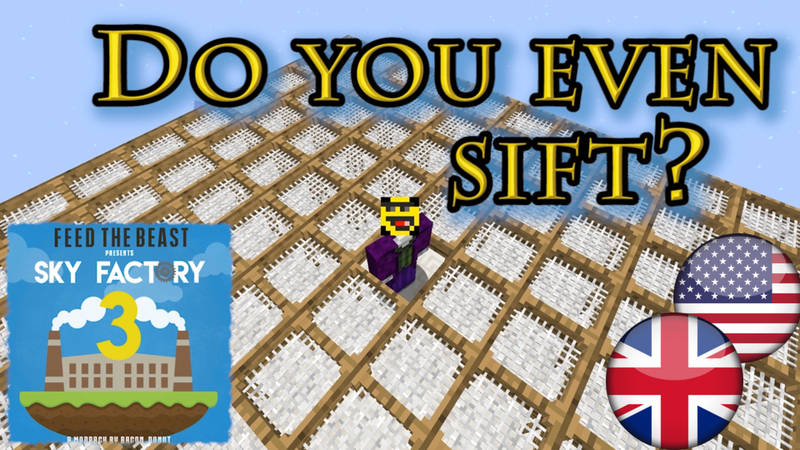 I just made a video with some tips and tricks on how to use the sieves. Enjoy and I hope it helps. how do you craft heavy auto sieve? Love the mod, would be kind of cool if there were hammers for further compressed cobblestone. I think EU 2 adds all the way up to octuplets compressed. might be interesting to have TiC Integration, being able to create your own hammers. Does it support for Extra Utilities? is a 1.8.9 version of this planned? Just tried to install this mod and found that it would give me a crash report (which I do not know how to provide within the max size of a comment) instead of loading. The "detailed walkthrough of the error" part of the crash report is in the Spoiler below. Hopefully that will be enough. Also it looks like the automated hammer/sieve/compressor only happen if CoFH core is installed, but Extra Utilities adds RF on it's own - would it be possible for the automated stuff to be available without CoFH core?